I'm a huge herbal tea fan. My kitchen cupboards are groaning under the weight of my tea collection and a sizeable amount of my desk at work is filled with packet upon packet of the stuff. 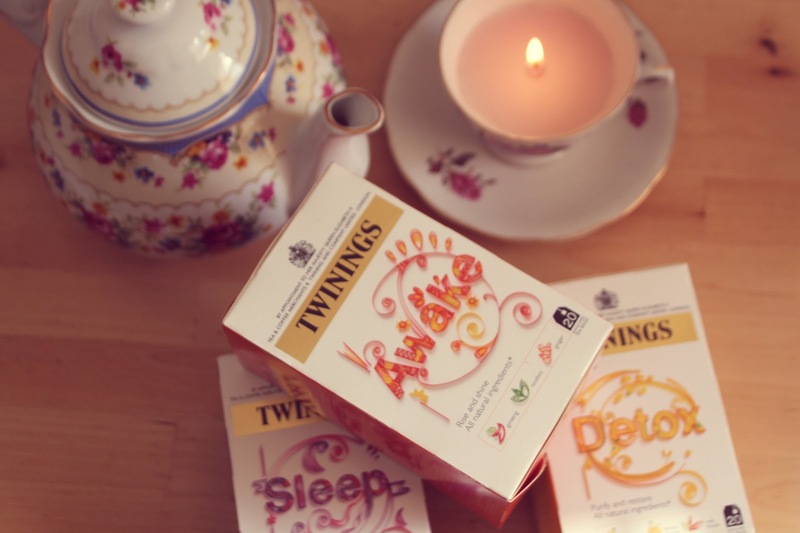 When Twinings got in touch with me a while ago (a long while ago as this post is massively delayed, for which I apologise) and offered to send me a few teas from their new range I jumped at the chance. 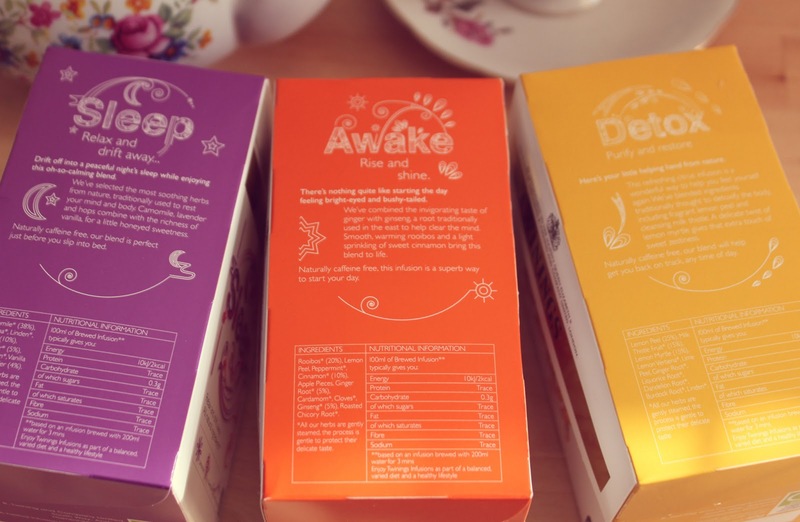 I was sent boxes of Awake, Sleep and Detox tea (there are also Purify, Defence and Digest in the range) and I've been working my way through them ever since. All the teas are delicious but I think Detox is my favourite. It contains lemon peel and milk thistle and I've been known to sip on this when suffering as a result of too much wine the night before. Miraculously, it actually does help! Sleep contains lavender, camomile and vanilla and, although I'm not normally a camomile tea fan, this is lovely to drink just before bed. I am a troubled sleeper (oh hai work stress) and I'm not entirely convinced that this tea has helped to solve that but it does definitely help me to relax, which is always nice. 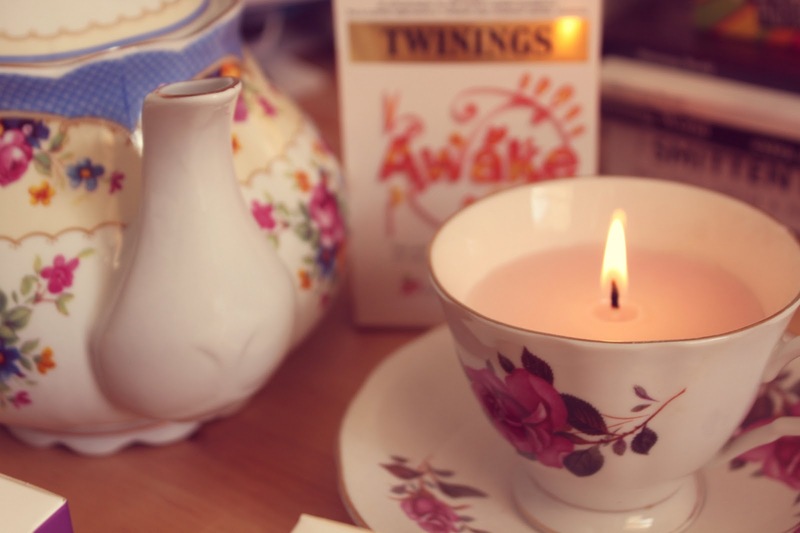 Awake has hints of ginger and ginseng, with rooibos and cinnamon. Again, I'm not sure that it really does wake me up, but the only thing that ever really manages to do that is a potent combination of sugar free fake Redbull (I am thrifty when it comes to energy drinks as this enables me to buy expensive candles. MAGIC!) and a venti Americano. Double trouble. Overall I think it's really my failings as a human, rather than the failure of the teas, that result in them not exactly living up to their promises. Despite this, I really love these teas and the other three blends are definitely on my shopping list. Thanks Twinings!